MANHATTAN, New York -- A man who tried to join the Islamic State group voiced support for a potential terrorist truck attack in Times Square like the one by the group that killed dozens of people in Nice, France, federal prosecutors said Monday. In a social media conversation about the Nice attack intercepted in July, Mohamed Rafik Naji told an unnamed associate that the Islamic State leaders "want an operation in Times Square," according to court papers. 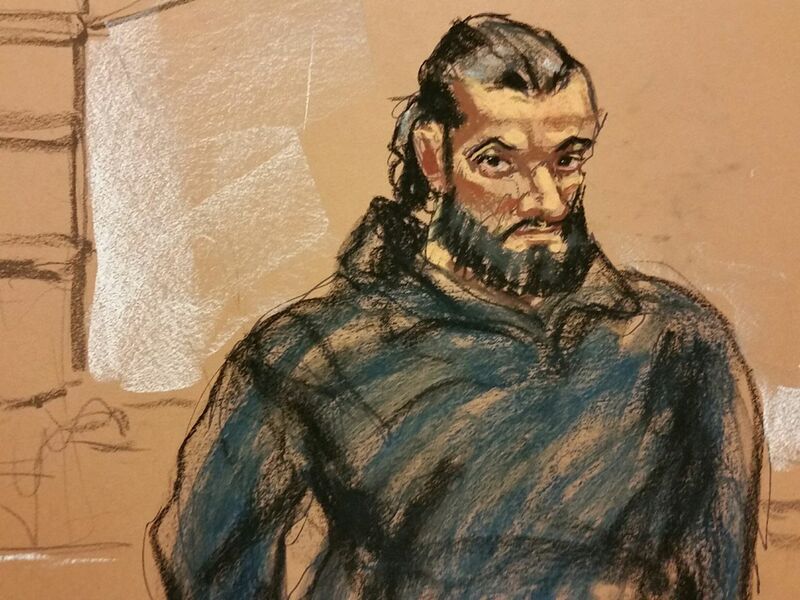 "I was saying if there is a truck, I mean a garbage truck, and one drives it there to Times Square and crushes them," said Naji, a legal U.S. resident from Yemen, according to prosecutors. He also referred to a "reconnaissance group already put on the scene," they said. The allegations were contained in a criminal complaint charging the 37-year-old Brooklyn resident with attempting to support a foreign terrorist organization by seeking to fight for the Islamic State group overseas. Naji was ordered held without bail following his arrest on Monday. He didn't enter a plea at his initial court appearance on the complaint. There was no immediate response to messages left with his lawyer. According to the complaint, Naji had looked at the Islamic State group's propaganda on the internet before spending six months travelling in Turkey and Yemen in an effort to join the group. During that time, it says, he emailed his girlfriend to describe how he was having trouble getting to parts of Yemen controlled by the group. Later, he sent her a selfie showing him wearing "all black clothing, including a tactical vest in which a large knife handle is visible," it says. He also sent a video clip, titled "First Day on the Job," in which gunshots are heard, it says. In Facebook messages with the unnamed associate around the same time, he expressed his allegiance to the group by saying, "I belong to the Islamic State only," the complaint says. After his return to the U.S., he continued communicating with the associate about the group, including making the comments about Times Square, the complaint says. Prosecutors offered no evidence that Naji took any steps to carry out an attack. In the Nice attack, a deliveryman took the wheel of a 19-ton cargo truck and plowed through a terrified seaside crowd on Bastille Day, leaving more than 80 people dead. The Islamic State group claimed credit for the attack. Authorities say the group in the July 2016 issue of its official magazine, Dabiq, praised the attacker as a "brother" who answered its calls to "target nations participating in the Crusader coalition fighting the Caliphate."